In the ActivClassroom, everyone wants to come to the board. With ActivArena, students and teachers can assemble and contribute together. It’s two people and two pens toward an endless environment of collaboration. ActivArena turns our ActivBoard into an impromptu gathering point or a tutor’s corner for one-on-one help sessions—all under the instructor’s control. Teachers can choose to activate and deactivate the “intelligent” student pen. The idea revolutionizes Interactive whiteboard technology, allowing two students to teach each other or students and teachers to work together—exponentially enriching the learning experience and enhancing the possibilities of every single lesson. ActivArena/ActivArena 50 make Dual-User functionality—and vibrant group collaboration—at the ActivBoard possible. Complete with two ergonomically designed ActivPens (two Teacher and two Student pens), ActivArena allows two users to activate the ActivBoard simultaneously, but gives the person with the “Teacher” pen control. The result is collaboration, connectivity and engagement like never before. The ActivArena Upgrade Pack is available for most* existing ActivBoards. (*ActivBoard 64, 78, 87, 95) and comes complete with ActivInspire Professional Edition. ActivArena 50 upgrade pack is for the new 100 and 300 ActivBoard Ranges (an upgrade to ActivInspire Professional Edition is also required for the ActivBoard 100). Is the performance affected by having a second pen at the board? Both ActivPens can be used at the board simultaneously with no performance difference. Can either of the ActivArena pens be used when Dual User is not selected? When Dual User is not selected, the teacher pen can still be used at the ActivBoard. 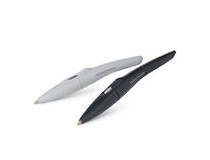 The student pen will only function in Dual-User mode. Can Dual-User functionality be used on other applications (apart from flipcharts)? Dual-User functionality is available to use on other applications through desktop annotation mode. Will ActivArena work with competitor’s Interactive whiteboards? ActivArena is available exclusively for Promethean ActivBoards. It will not work with competitor’s Interactive whiteboards.